This 2016 Greatest Hits is out in time to celebrate Kidz Bop franchise 15th birthday! This CD is full of songs from about 2010 and on! You get some super fun and upbeat appropriately kid-friendly numbers and the first ever Kidz Bop original "Make Some Noise!" Meghan Trainor's "All About That Bass" sends a positive message to preteens that it is not all about size! Not only are these songs sending positive messages to our kids, but they are appropriate. No more cringing in the car when you hear a bad word on the radio, now you can have all kid appropriate music for any road trip! I love that the kids enjoy these songs, they are relevant and are family friendly! If you are a XM Radio subscriber you have continue to Kidz Bop love and have hours or kid friendly relevant songs with the Kidz Bop station! Purchase KIDZ BOP Greatest Hits on Amazon for $9.79 & FREE Shipping on orders over $49. 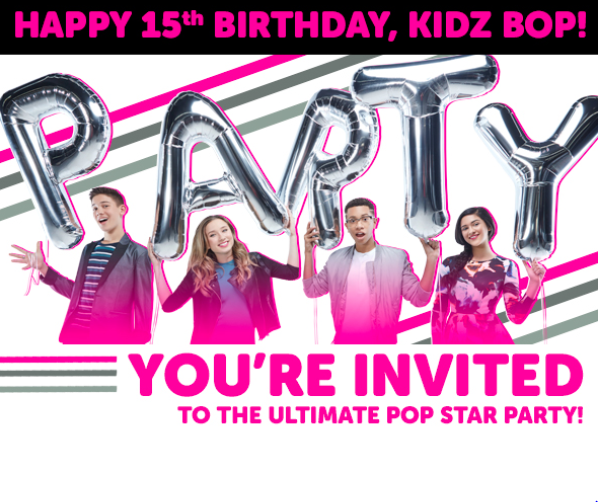 For more information about KIDZ BOP, visit www.kidzbop.com.